The Brick, Downtown Minneapolis' newest concert venue opened last night with a bang. And we don't mean that in a good way. 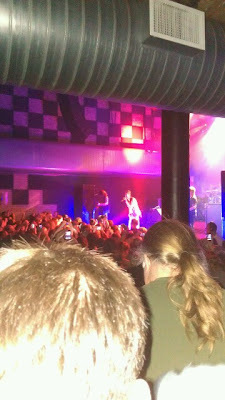 Jane's Addiction performed to what seemed to be a very displeased crowd. 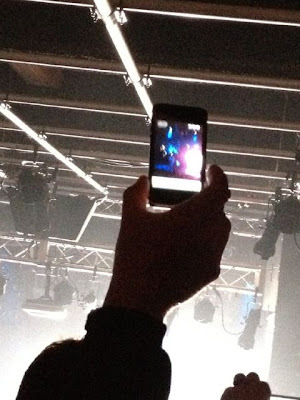 We didn't actually go to the concert, but thanks to Twitter and Facebook, we got a pretty good idea of what the situation was like. We checked out the Facebook page for the venue and.. well, here's a taste of what is going on over there. For more local coverage go here, here and here. I was there. It is by far the worst venue that I have ever been to. They oversold the show by like 800 people. The men's room has 3 urinals, 1 stall and 2 sinks... for the "Biggest live music club in Minneapolis". Security was rude and wandered around looking confused. There was almost a gigantic fight/rumble on the main floor. I then moved upstairs but was singularily unable to see the stage - and I am 6'2" so there should have been no sight line problems. I feel ripped off... I could hear Jane's (who sounded great when not threatening to leave), but I could have done that by buying a CD and saving $50.00. Worst venue ever. JANES GOOD, BRICK BAD. BTW, THE SOUND SUCKED TOO. New meme alert: "Say something about Prince"